Melbourne has to be one of the most unique cities in the world, with its old heritage buildings, mysterious laneways and its culture, there is something on offer for everyone here in Melbourne. 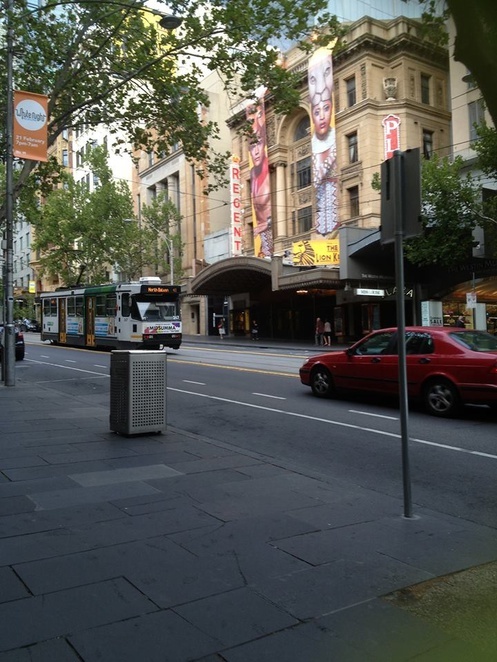 I grew up in country Victoria and often went to Melbourne for weekends away. Now I'm living on the Gold Coast and I still love Melbourne (maybe even more now then ever). The laneways take my breath away every time and even though I have seen many of these little passages over the years, I'm sure that there are many more just waiting to be discovered. You can't quite describe the atmosphere that Melbourne holds. It's alluring and makes you want to return. I'm sure that almost every time I've visited this special city it has rained but that's all apart of the fun and I think that's what gives Melbourne its cozy atmosphere. 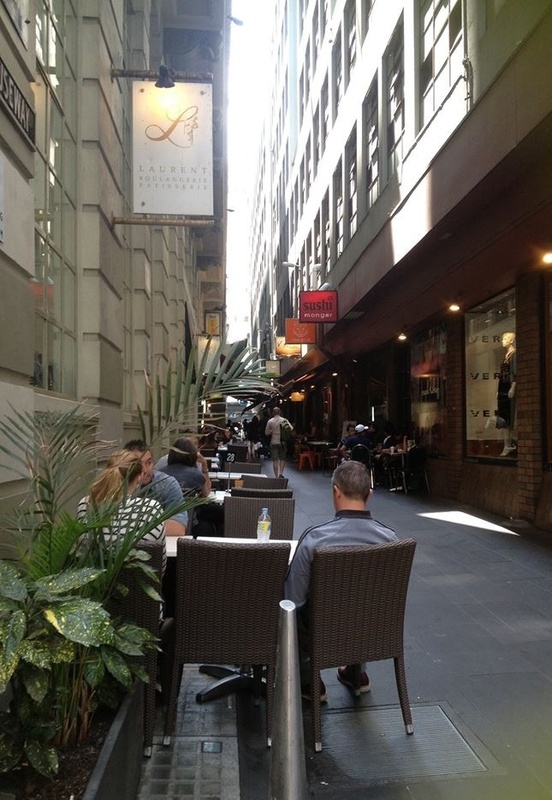 It makes you want to curl up in your winter clothes and head to a laneway cafe for a hot chocolate and I must say the Melburnians know how to make a mean hot chocolate! Nothing beats one of those on a cold winter's day. 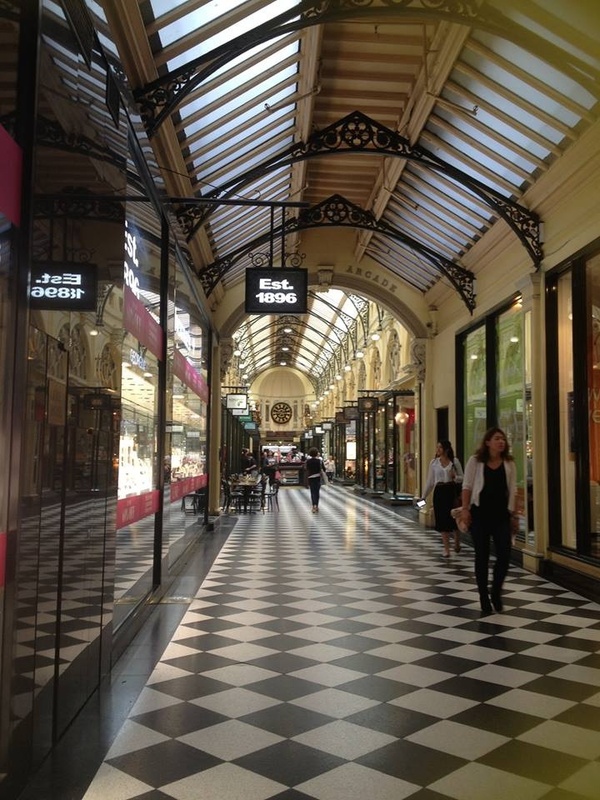 The arcades in Melbourne are my favourite - The Block Arcade and The Royal Arcade. I love poking around in those magical little stores. In The Block Arcade you must visit Haigh's Chocolates - this is (by my book) the best chocolate I've ever had. It's so creamy and smooth and I never go to Melbourne without coming home with a bag full of Haigh's Chocolates (and a stomach full too). Just remember that this chocolate is best consumed at room temperature. 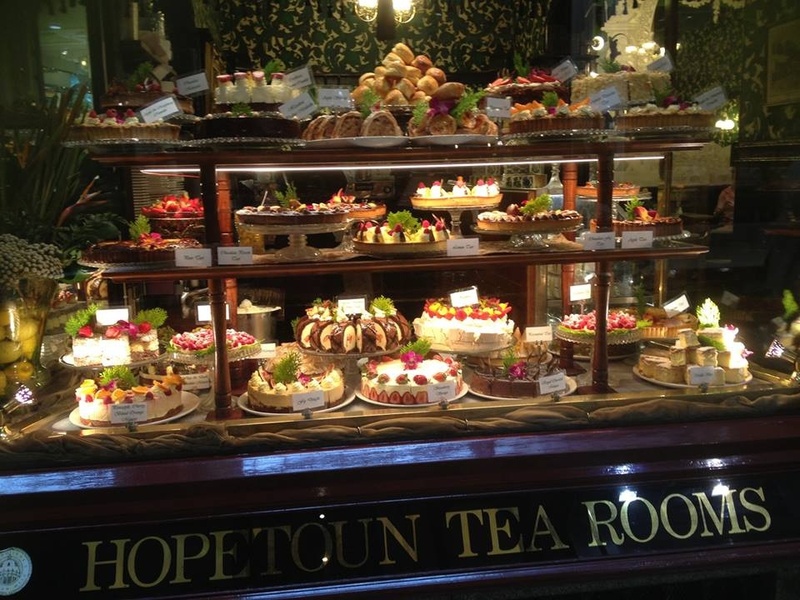 Another favourite store of mine in the Melbourne CBD is The Hopetoun Tea Rooms located within The Block Arcade. Every time I walk past this cafe there is a huge line out the front of people just waiting to be seated, so make sure you get there early. In the front window of the cafe they have all of the cakes they sell on display, all handmade and fresh. 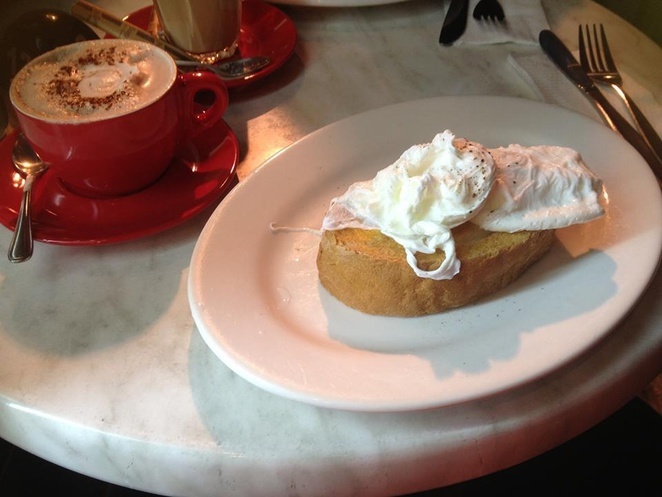 Here they are known for the signature high tea and their take on all of the Australia's favourite cakes such as the humble lamington and pavlova. The decor in this cafe is lovely with its old Victorian style wallpaper and fittings. 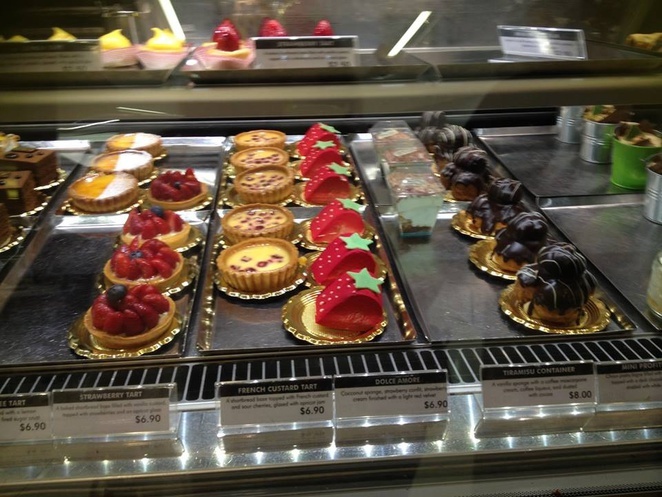 I bet you wouldn't think of a full European style cafe within a major retailer but right in the heart of the Bourke Street Mall on the 3rd level of Melbourne's Myer store is Brunetti Myer. Here they sell a wide range of European style cakes and pastries, gelato and savoury items, as well as the all important coffee to keep you shopping. For the shopaholic, make sure you check out Emporium Shopping Centre just a street over from the Bourke Street Mall in Lonsdale St. With 5 levels of high-end stores, this stop will leave you in shopping heaven.